Model, singer and now fashion designer Sophie Simmons is proud to launch her first fashion capsule collection with The Style Club, a unique online fashion and beauty destination featuring up and coming designers and fresh new styles. The twenty piece collection is now available, exclusively at www.thestyleclub.com. Simmons, daughter of Hall of Fame rocker, Gene Simmons, grew up in the spotlight on A&E’s “Gene Simmons Family Jewels” and experienced firsthand the scrutiny of being a young woman in the public eye. She quickly became an advocate for female empowerment, inspiring her to design a collection for women that encourage confidence for every body type, creating a variety of skirts, shorts, sweaters and blouses. Every piece is named after an influential woman who embodies female empowerment and is a strong role model for girls and women. The women are: Nancy Reagan, Hillary Clinton, Michelle Obama, Oprah Winfrey, Sappho, Boudicca, Sheryl Sandberg, Folorunsho, Rosa Parks, Malala Yousafzai, Eva Peron, Arianna Huffington, Betty Friedan, Marilyn Monroe, Jane Austen, Gwen Stefani, and Emily Dickinson. From sequined pencil skirts and vegan python print shorts to classically woven sweaters, the Sophie Simmons collection offers elegant, essential pieces in blush, pearl and charcoal hues. The line is affordably priced, ranging from $25-$115 and will make every woman feel like she’s walking the runway. Sophie Simmons is a model, singer/songwriter, fashion designer and the founder and owner of Sophie’s Place – a charitable organized based in Vancouver which provides a place of sanctuary and support for vulnerable young people. Simmons is the daughter of legendary KISS bassist Gene Simmons and Shannon Tweed-Simmons and grew up on A&E’s “Gene Simmons Family Jewels”. Simmons is currently filming season 2 of “Shannon and Sophie” on Canada’s W Network. For more information, visit http://sophietsimmons.com. 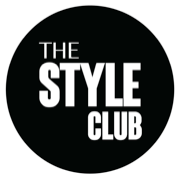 Created by 29-year old entrepreneur Hilary Hahn, The Style Club is an unparalleled and seamless fusion of an e-commerce shop, video channel and social platform for the tech-savvy, trend-driven fashionista. The site collaborates with bloggers, models and fashion influencers to curate original content to serve as your go-to source for the latest trends in fashion and beauty. For more information, please visit www.thestyleclub.com.